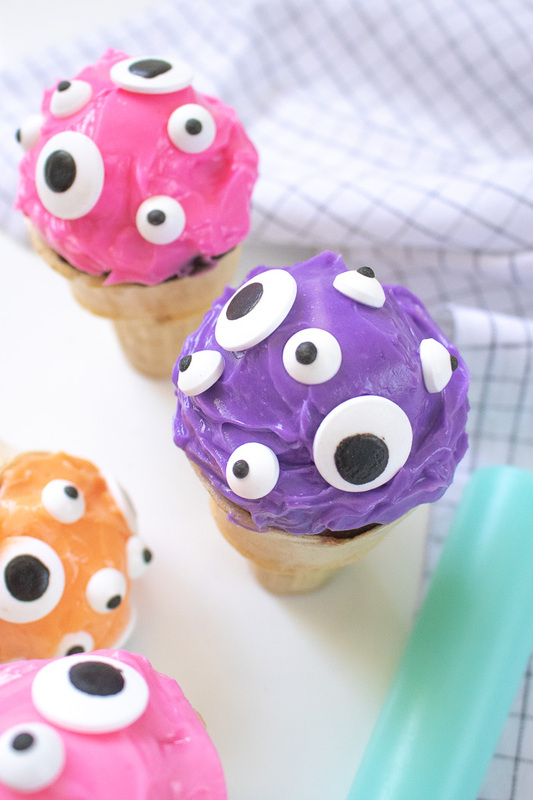 I scream, you scream, we all scream for EYEscream this Halloween! 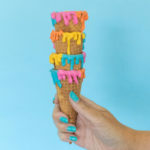 It’s been a little while since I got punny here on the blog, so today I’m sharing how to make a fun alternative to ice cream cones by make EYEscream cone cupcakes instead! Get it?! These little cupcakes are a play on words that I’ve been excited to make for the last few weeks. 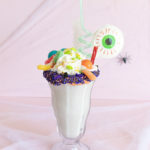 I think they’ll be perfect for a Halloween party treat or even a cute treat for kids this month. 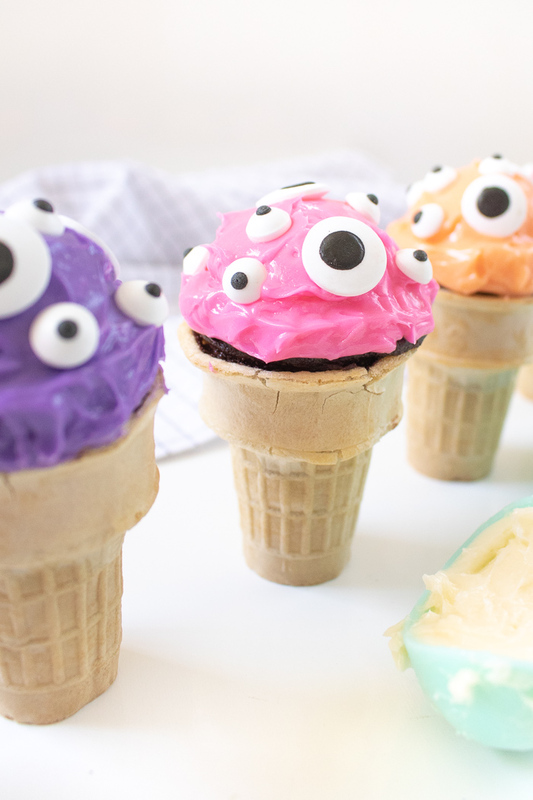 If you love the look of ice cream cones but want a cupcake instead, these punny little EYEscream cones are the perfect compromise. 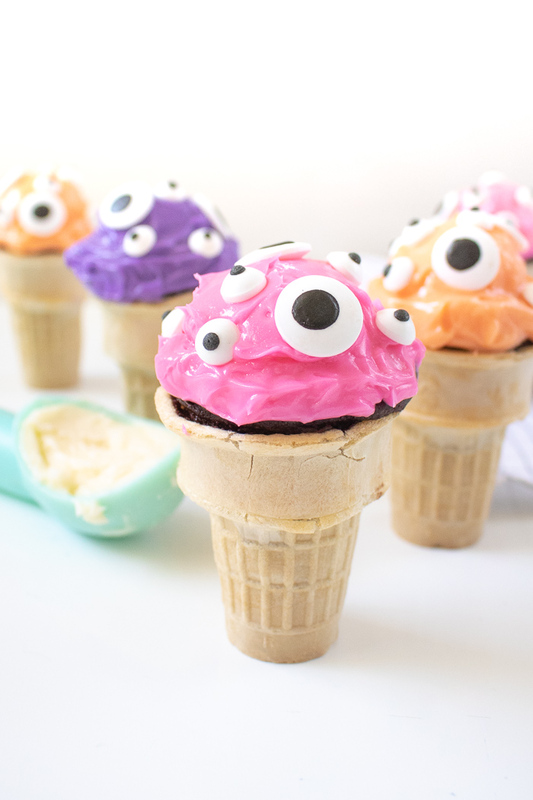 These EYEscream cone cupcakes are so easy to make with your favorite cake recipe. I’d recommend my classic chocolate cake, simple vanilla cake or my coconut cupcakes. 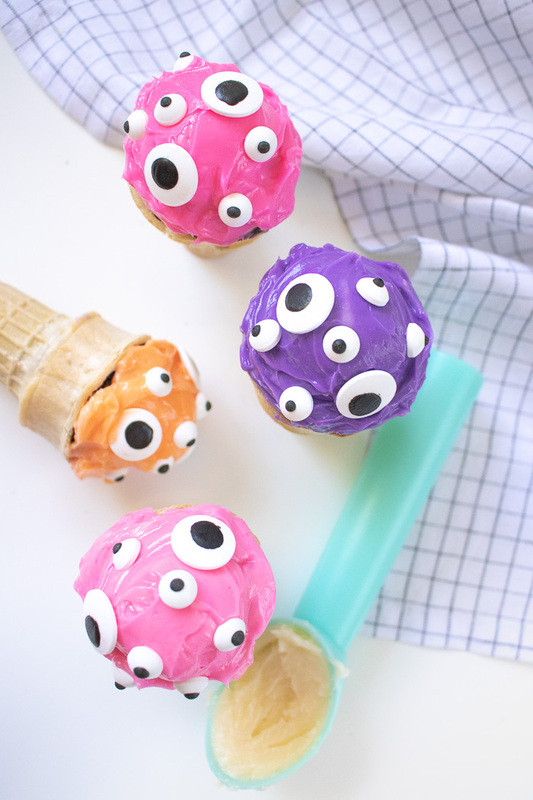 I used purple and orange (my go-to Halloween colors) as well as pink to make extra colorful ice cream cone cupcakes. 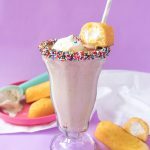 There’s not much to baking cupcakes into ice cream cones. You fill them up with batter and bake them just like any other cupcake! Step 1: Preheat your oven to the temperature your cake recipe specifies. Place a cone upright in each cavity of a cupcake pan. Step 2: Mix the batter. Fill each ice cream cone about 3/4 full with batter. Bake according to the cake recipe, checking often. Remove from the oven when a toothpick inserted into the center of the cupcakes comes out clean. Step 3: Let the cupcakes cool while you prepare the frosting. Mix in multiple bright colors. Step 4: Use a cookie scoop or ice cream scoop to make a mound of frosting on the top of the cooled ice cream cone cupcakes. Clean up the frosting with a small spatula as needed to look like an ice cream scoop. Step 5: Place eye candies in a random pattern over the frosting. Voila! 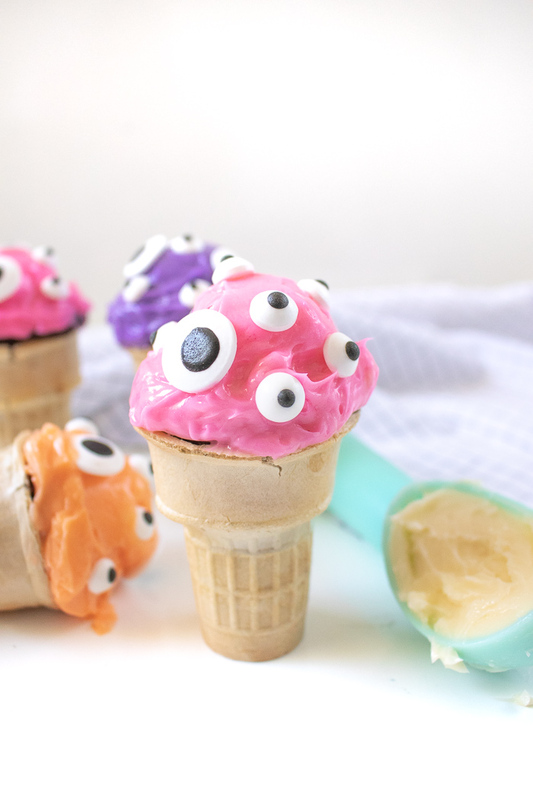 EYEscream cones that are actually cupcakes! These will be a fun little joke for a Halloween party this year. 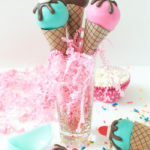 I’ve made cupcake cones before and it was a failure, but yours are so cute I’m going to have to try these!